This article discusses when should one think about an Offline Web Application. What is an HTML5 offline application and to create one. When should think about creating an Offline web application? You may want to work with your application even when you are outside your company/organization’s network. You may want to view documents/web pages when you are offline with no network connectivity. You may have data entry application where you are storing data offline and once the network is available, you want to synchronize the data back to your main application. In case if you are working with media applications, you may want some offline media pages which allows you to see videos offline etc. Likewise there are many situations you can think of w.r.t. Offline applications. What is an HTML 5 Offline Application? When you think about web applications, the common scenario is you render the web pages dynamically based on some actions that you perform on your web page. For example, click a link button which will render another web page from the server. But all this is possible only when you are online; which means you have network connectivity. But what if you don’t have network connectivity. Obviously, you will not be able to render any web page from the server unless it is cached. This is where your HTML offline application will come into the picture. You can download your required pages when you are online. If network connectivity goes off, HTML 5 offline application will automatically serves the offline web pages which you have downloaded when you were online. You can configure this Manifest file with an attribute manifest of <html> element/tag. Let’s start with an example where we will try to create an HTML 5 offline application. To implement this demonstration, I am using Visual Studio 2013 although you can use a previous edition too. You can also use any other Web Editor of your choice. 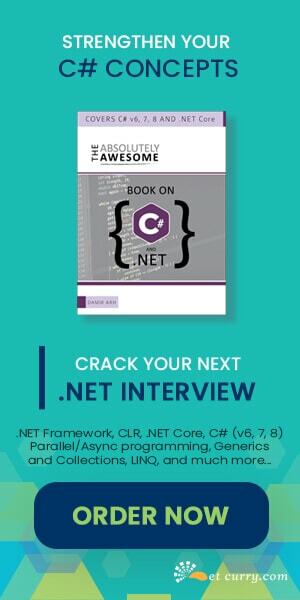 Now let’s start by creating an ASP.NET Web application (not a requirement). Open Visual Studio and click on New Project. Choose ASP.NET Web Application. Name it “HTML5OfflineApplication”. In the dialog box, choose a Web Form with Empty template. Two .aspx pages with the name One.aspx and Two.aspx. Add a folder Styles and add a Styles.css style sheet in this folder. Add a folder Images and add any two images in this folder. Add a HTML page with the name Home.html. 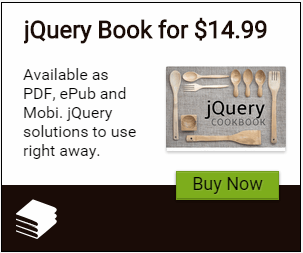 Add a Scripts folder and add jQuery files using NuGet packages. Change the image names to your images which you have added in your Images folder. Now we have a network status displayed on our web page, we will prepare our Manifest to offline resources. The cache manifest file is a text file that lists the resources the browser should cache for offline access. Let’s add a text file with the name devcurry.manifest in our web application. The manifest looks like below. In the above manifest, we are first deciding which resources (.ASPX, .JS, .PNG, .JPG, .CSS) should be offline with the version number of Manifest. After that we are setting up a Fallback. When you do not download the resource or the resource doesn’t get download, the Fallback page will come into the picture. The last section is Network. This section tells that in case whatever resource you are looking for is not available in the cache, it can be downloaded from the given address. This address can be specific as well, like your web address. Note – the cache size of the data differs browser to browser. Typically it is 5 MB. Also if you do not see any of this, probably your browser does not support HTML5. Conclusion – In this article, we have seen how to make an offline Web Application using the HTML5 application cache.